Le Cordon Bleu Australia is proud to announce that Tom Milligan (Technical Director, Le Cordon Bleu Australia) will lead the Australian team competing in two international competition finals - Coupe du Monde de la Pâtisserie and Bocuse D’Or to be held at SIRHA (International Hotel Catering and Food Trade Exhibition) in Lyon, France. The international competitions will be streamed live from 27 to 30 January 2019 on the SIRHA official website. 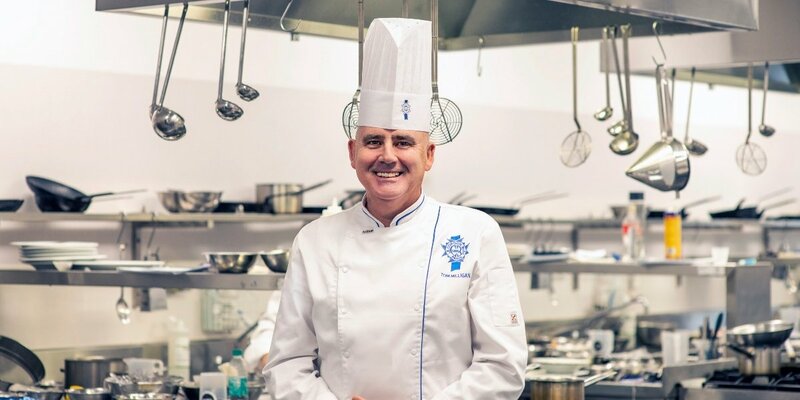 Le Cordon Bleu Australia is thrilled to be associated with this global event celebrating industry excellence, and wishes Tom Milligan and his team the best of luck. SIRHA (International Hotel Catering and Food Trade Exhibition) provides a forum for leading hospitality and culinary professionals to showcase their products and expertise in world-class demonstrations and competitions. The full range of promotional activities at Le Cordon Bleu Paris’ exhibition stand can be viewed here.